The Community Assistance Fund (CAF) was established to enable the Junior League of Birmingham to respond quickly to community requests for funding of immediate financial needs due to unforeseen or emergency circumstances. Upon receiving a notification of need from an organization, the Community Council of the Junior League of Birmingham shall consider each request upon an individual basis. In order to be considered for funding, agencies must complete a Community Assistance Fund application. Agencies can only request funding once per JLB year, June 1 through May 31. Due to the emergency nature of the requests, recurring requests will not be considered. For complete information and application to the Community Assistance Fund, click here. 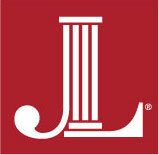 Contact communityvp@jlbonline.com with questions or for more information.